Description: The "Taurus Judge®" is so named because of the number of judges who carry it into the courtroom for their protection. Capable of chambering both .410 2-1/2" shotshell and .45 Colt Ammunition, this amazing combo gun is ideal for short distances - where most altercations occur, or longer distances with the .45 Colt ammo. We have finely tuned the rifling to spread the shot pattern at close quarters or to guide the .45 cal. bullet to the target. 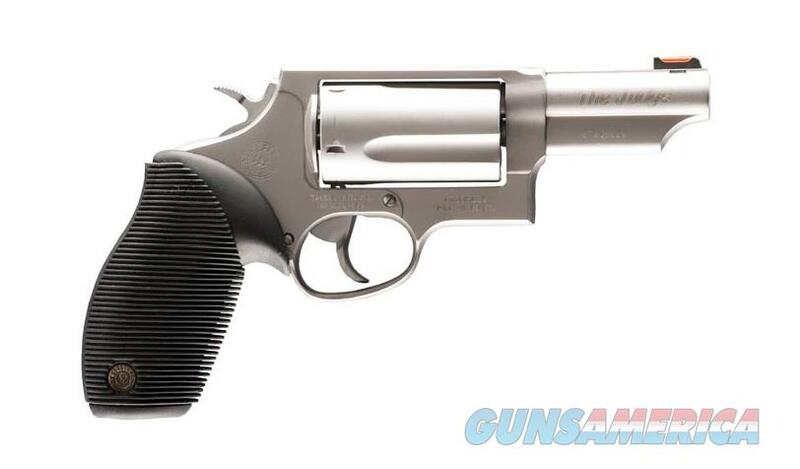 Fully customized with fixed rear sights, fiber optic front sights and Taurus Ribber Grips®, the "Taurus Judge" is one decision-maker that lays down the law.